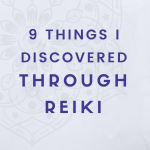 What should I expect during a reiki session? During an in-person reiki session, the practitioner will place their hands either on or a few inches away from the client’s body. They will connect to the energy of their clients, help clear blocks, and infuse the body with the energies of love and light. 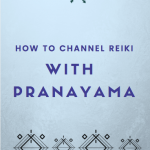 During a distant session, the practitioner will send these energies through time and space. You may feel some warmth or coolness, tingling, or simply relaxed. Some people may see some colors or visuals. Regardless of whether you notice sensations or not, trust that reiki is flowing for your highest good. There is no need to get too hung up on these sensations. [bctt tweet=”Everyone is different and every Reiki treatment is different.”] Additionally, pay attention to how you feel after the Reiki treatment(s). You may sleep better or feel more centered and less triggered. How can I prepare for my energy healing session? Drink some water. It’s a good idea to avoid alcohol or recreational drugs as they alter your consciousness. If you’re receiving a distant session, find a comfortable space where you won’t be disturbed. Set an intention for your session. Who’s presence do you wish to call in? What do you want to heal? What are you ready to release? What are you ready to manifest? This doesn’t have to be an elaborate process. Simply write down the first few things that come to mind. Trust that you will receive exactly what you need in that moment. Here are some other ways to prepare for your session that are optional. Use your favorite essential oil. Essential oils can raise our vibration and open the chakras for further healing. Intuitively choose a crystal to support your session. If you have any practices of clearing your space with sage, you may do so. Return to your breath to center and help facilitate the flow of ki. How can I continue the healing after my session? You may journal about your session and make notes of how you felt. Did you receive any messages? What is ready to heal on a deeper level? Notice any changes in perception. Do you see any person or situation differently than prior? What is the quality of your thoughts like? Notice any changes in your physical body. How does your breath flow? Continue drinking water to flush out any toxins that may have been dislodged from your system. Lastly, feel free to reach out to your practitioner with questions that arise. We’re here to support you. Be patient with yourself in the healing journey. Try not to judge anything that comes up. Be willing to witness yourself with compassion.